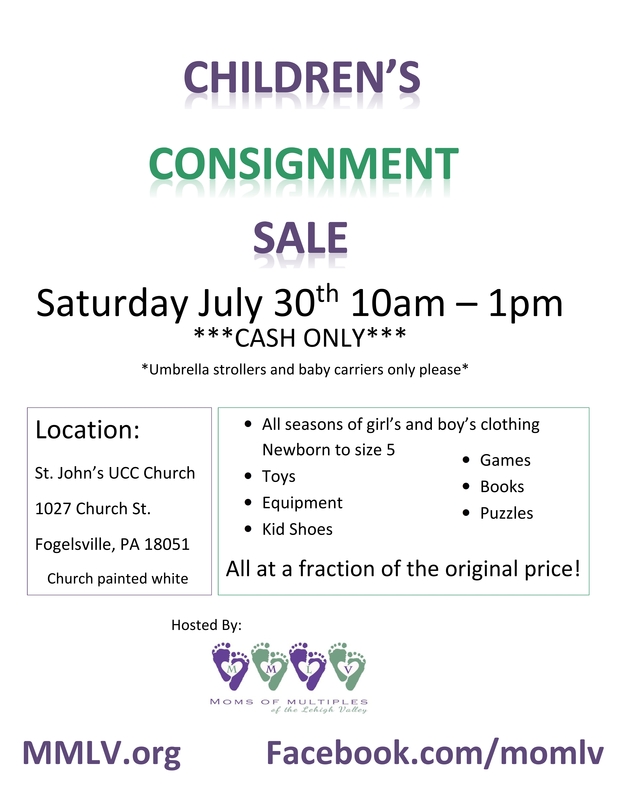 Shop Our Kids Consignment Sale! 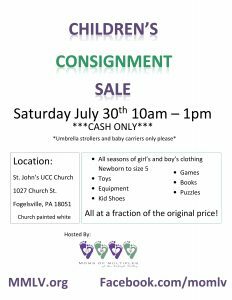 Moms of Multiples of the Lehigh Valley is organizing a Kids Consignment sale for Saturday, July 30th from 10am-1pm at St John’s UCC in Fogelsville, PA! Help spread the word and share this invite with your local friends! Contact MMLV with any questions!